I have fought for Kashmir Pandits ever since I covered Kashmir in the nineties and saw them flee helpless and terrified. In 2005, I received the Natchiketa Award of Excellence in journalism at the hand of PM in Lok Sabha and with the prize money I started a Foundation FACT (Foundation Against Continuing Terrorism) and my first exhibition was on the plight of Kashmir People. HH Sri Ravi Shankar was so touched by it that He took it all over the world with Him. We showed it to the Polish Parliament, the Israeli Parliament, the Scottish parliament, in the Commonwealth Club in London and even to US congress in Washington, which led to a Resolution on the plight of the kashmiri pundits. But I have to tell you something, Hindus are still a huge majority in Bhaarat, but it's like a lion who thinks he is a mouse and does no its strength. It's pretty pathetic that out of 400,000 Hindus, (there were a million of them in the valley of Kashmir in 1900), not a single one put a fight and fired a shot in defense, when their brothers were killed, their wives raped, their children burnt in the Valley of Kashmir. Hindus pride themselves in their peace loving way. I really appreciate it myself; Bhaarat is a land of peace, where all the persecuted minorities of the world have found refuge, including lately the Tibetans. But isn't it cowardice sometimes? The Gita tells us in the words of Lord Krishna that when your way of life is threatened , when Untruth is about to overcome Truth, when your borders are threatened, your wives raped, your children killed, it is rightful and dharmic to fight, by force if necessary. Sri Aurobindo came to remind everybody that it was alright to throw out the British man militarily, to the point that his brother Bann manufactured bombs in the basement of Sri Aurbindo's house, but his voice was not heard. Today Buddhism, Ghandhism, and leftist intellectual thought have weakened Bhaarat and She seems sometimes ready to let go of huge chunks of Her territory, whether the valley of Kashmir, Assam to the Bangladeshis, Arunachal to the Chinese, without a fight. Swami Saranam! reporter channel programme against Sabarimala. We are just crying and inactive to protest against any of the anti Hindu matters. We are really afraid of what others will think about us, if we open our mouth against such media propaganda. No media in India is dared to expose anything related to minority communities. (Especially channels in Kerala are running on the funds of so called minorities and they will take all steps to attract their viewers and Hindu secularists will continue live here by writing these types of emails without any results. Now time is up to rejuvenate Hindu culture and to expose the media hype against Hindus. Whether it is asianet, malayala manorama or reporter, all are fighting to tarnish Hindu mythology and culture. In this way they are playing a dangerous card of division among people of Kerala. Once upon a time, we all lived in peace and harmony in our state. Now day by day Kerala is going on a division among Hindus and minorities. Minorities hold 80% of wealth of Kerala and they are controlling all government machinery's and use these machinery's for the welfare of their people. It is very shame to see that government is openly spending money for the minority community. Now government is going to appoint more than 3000 employees for looking after the fund disbursements of minority development programme. Earlier Marxist and communist parties snatched away all the land from Hindu communities in the name of land reforms act. Now these lands are accumulated in the hands of Christians and Muslims. Moreover all government (irrespective of LDF or UDF) will support all the encroachments in forests and hills. Now tigers or any animal does not have any place to live and it is natural that they will come out of the so called forest. They even want to reduce the importance of sabarimala and thereby they can encroach to that area .Even small help received by thousands of temples from sabarimala can be stopped and the entire Hindu community can be destroyed. 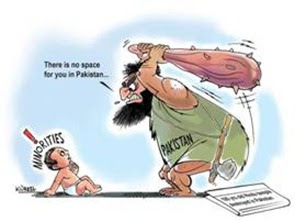 Hindus cannot buy land or build houses due to soaring prices in market, which was artificially created by supply of fake currency from Pakistan as well as due to international conspiracy against Hindus. Still we are wasting our time and energy in writing email like this without any improvement in Hindus condition in Kerala. So we need to take some steps whatever small at individual level to protect the Hindu culture and tradition. WE ARE NOT AGAINST ANYBODY BUT WE HAVE A RIGHT TO STAY PEACEFULLY IN OUR OWN COUNTRY BY PRACTICING OUR RICH CULTURE AND TRADITION. Here is what some important people have said about Christianity. Hinduism's pluralism irked colonial rulers. Hostility of official as well as unofficial nature did exist. From Goa Inquisition to Winston Churchill there are many examples. During last twenty two years of militancy in J&K state especially in Kashmir valley which is now populated by Muslims only. The fundamentalist Molvi's from UP and other places visit Kashmir to spread "Wahbi"Islam there. The Muslims in Kashmir were generally followers of "Sufism" (a soft and secular Islam) and would make frequent visits to Dharghas of Sufi saints to offer prayers. 1) For every true Muslim there is directive (fatwa) to spread Islam through out the world by destroying the other religions and their culture by whatever means available to them. 2) In India (pre partition) the target was Hindu's (which includes Sikhs, Jain's and Buddhists) and their Dharma and Culture. Muslim fighters came to India first to take away as much wealth as possible and then finally established the Islamic rule. 3) We Muslims then started the mass conversion of Hindus into Islam with the help of Muslim rulers through different methods. About 40 % of the Hindu's in India (pre partition) were converted into Islamic faith till the take over by the Colonial Power. In this process we destroyed a number of there places of learning and cultural centers. 4) After the exit of colonial power we resumed the process of conversion into Islamic faith. Since we doubted the support the new ruling classes in this mission, so we had to change the strategy. 5) We started asking for a separate home land for Muslims and managed to take away about one third of the pre partition India. We made sure that important cultural centers and places of learning of Hindus, especially in Sindh are included in it we called this land as Pakistan (pious land) To make Hindus happy we called the rest as Hindustan. During the partition of India we ensured that Pakistan remains free from Hindus and keep as many Muslims in Hindustan as possible. 6) Immediately after partition we took up the job of destroying the Hindu culture centers and important places of learning in Pakistan. This was followed by the conversion of left over Hindus into Islam. We succeeded in this mission and today there are only the few Hindus there. 7) In Hindustan we first saw that the Hindustan was called by pre partition name i.e. India which is secular and the Muslim population started expanding very fast and demanding equal rights. In this case we are thankful to the ruling class and especially principal ruling family. Some say that this family has Mughal (Muslim) roots and not Hindus. Hindu society is a victim of cast system which was first exploited by colonial power to establish their rule and now it is exploited by the political parties in their struggle for power. 8) In present India there are some important pilgrimage centers viz Ayodha , Mathura, haridwar etc. we have succeeded in blocking their development and construction of temples especially at Ayodha to ensure that Hindus do not have any major central points where there could be their large gathering. 9) There are now no Hindu's by name in India, it is SC, ST, OBC etc. with there own leaders. The attempt is also being made to see Sikhs, Jains and Buddhists declared as non Hindu's. While as the Muslims under the banner of Islam is a single group. 10) Thus among all these groups Muslims in India are now in majority and you will soon see that the Indian Tricolor is replaced by green Islamic flags and entire India will become an Islamic state. The moment the people of Kashmir hear this, there is a thunderous applause in every mosque. They are encouraged to continue their Islamic movement. What these radical preachers (molvies) say is a historical fact besides the current political situation in India. Every political party appeases Muslims in one form or the other to get their vote which is under the command of these Molvies. It is really an alarming situation for Hindu Dharma and culture which is oldest and richest in the world. There is still time to save the situation and work together against the expanding radical Islam otherwise it will be too late. Hindus are in deep slumber and ignorant about this expansion of radical Islam and God for bits if attacked through terror they shall not find any shelter. Modi put it, this is a UPA Govt by foreigners and for foreigners. As long as Abrahmic religions survive, humanity cannot survive. People know wishful thinking as naive as other Hindu Bhaaratiya who first thought the Muslim invaders were friends and then the Britishers were traders. Historically, when Hinduism was strong and didnt attack anyone but also didnt allow anyone to attack India had its Golden perioid. Once you are only spending energy on solving social problems but keep your doors open, dont protect your territory the enemies think you are weak and attack you. Swamy is right here....he is not only convincing the article is also based on facts. 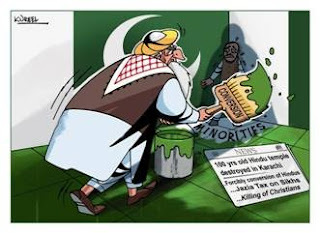 You cannot be doing good for one another when the minorities in India are funded by a rogue terrorist nation Pakistan that keeps pumping counterfeit notes and terrorists into India. Reporter channel the mouth peace of marxist party.. programme against Sabarimala.. Please avoid seeing this channel. a Dalit Speaker of the Parliament Meira Kumar attending the ceremony. an Anglo Indian from Allahabad - Chief of Air Force Air Chief Marshal N.A.K. (Norman Anil Kumar) Browne - whose son Omar is also an ace fighter pilot of the Indian Air Force. Wonder which other country on this globe has a similar record?